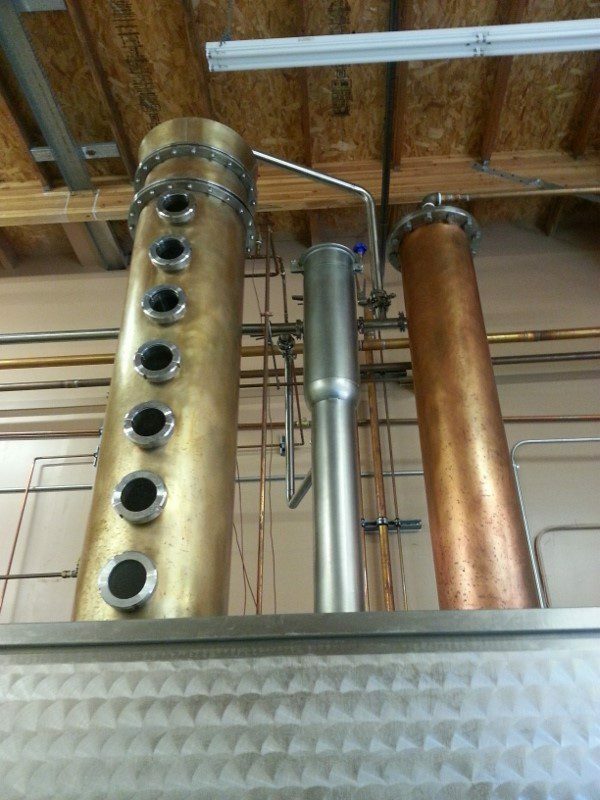 You may think wine when you think Santa Ynez Valley, but you can also think vodka and whiskey because Ascendant Spirits Distillery, the first legal distillery in Santa Barbara County since Prohibition, is located in Buellton, the heart of wine country. 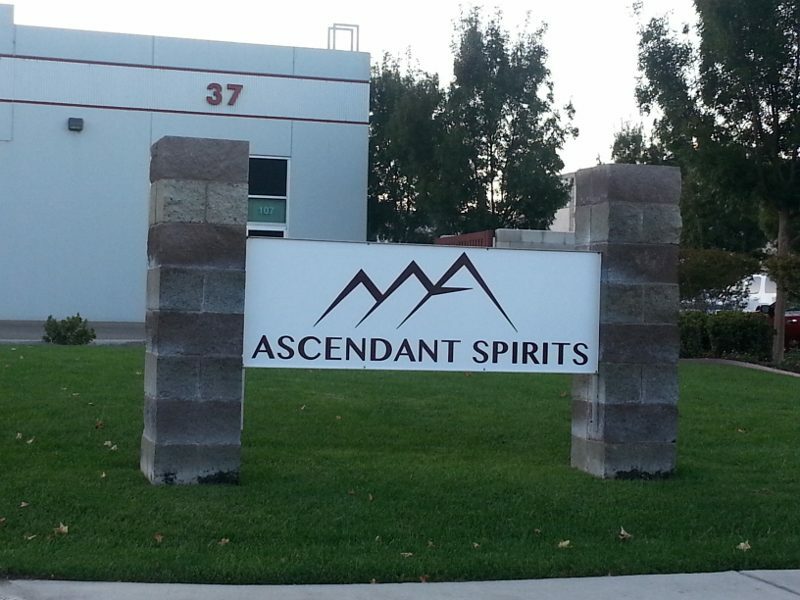 We stopped by Ascendant Spirits on a recent trip up to wine country. 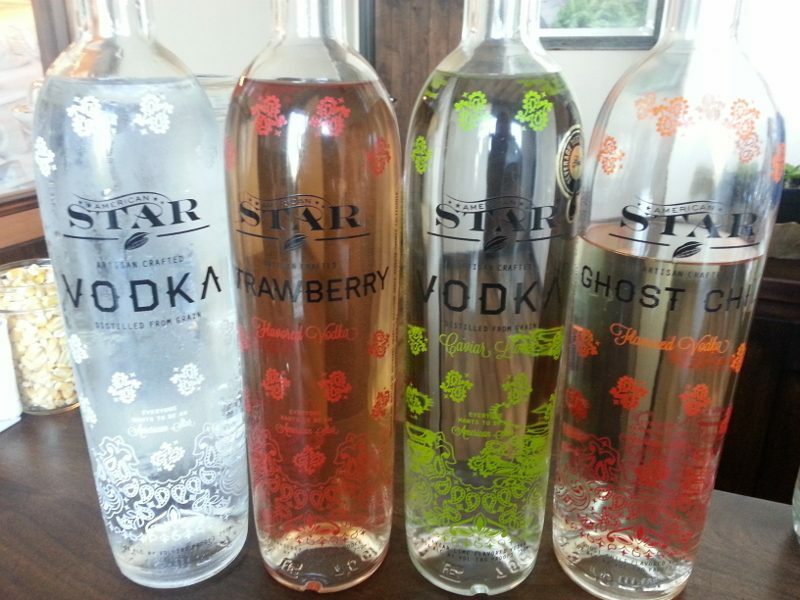 After all, a few tastes of vodka and whiskey are a great start to a weekend filled with wine. Owner and Distiller Stephen Gertman was on hand to give us a tour in between the fermentation taking place that day. 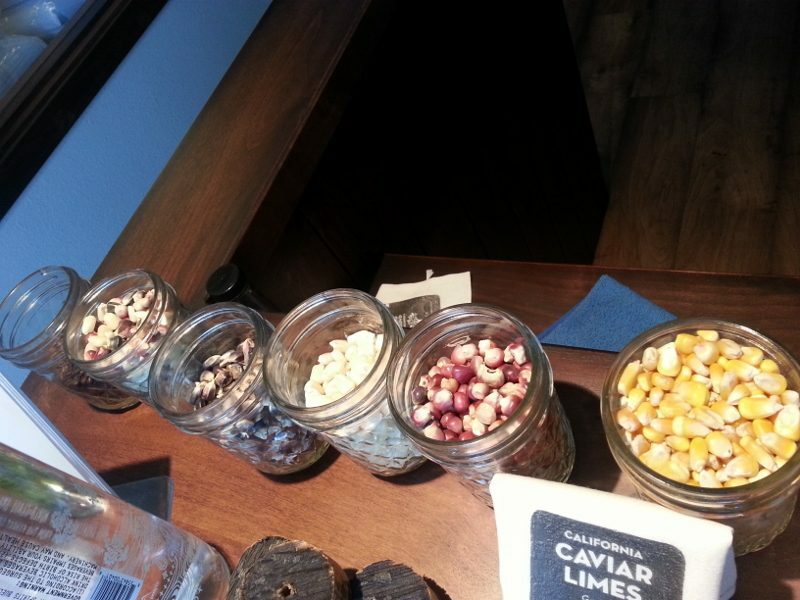 We got a first hand tour of the process to make Sempre Fi Corn Whiskey. The first step is water. 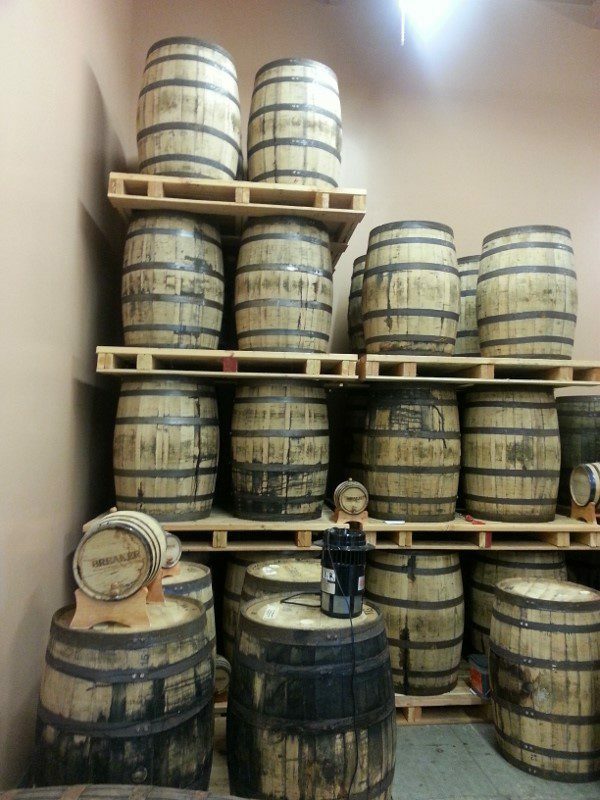 You don’t want any flavor in the water so Ascendant Spirits treats all of the water used in the distillery to soften it through reverse osmosis. The water then goes through a low pressure steam boiler which is gentle on the water. The grains go into the mash cooker, a big kettle filled with 500 gallons of water. 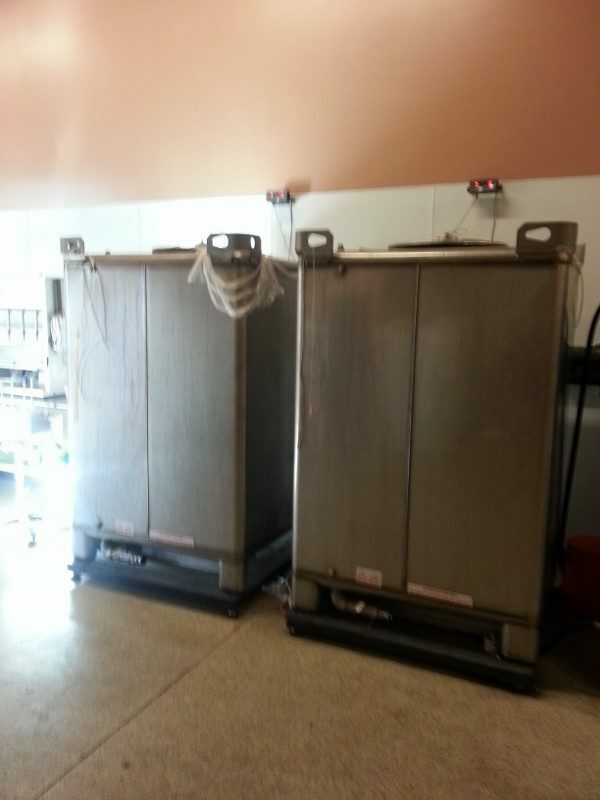 The steam heats the water and the grain is dumped in before the water boils and then cooks all day. 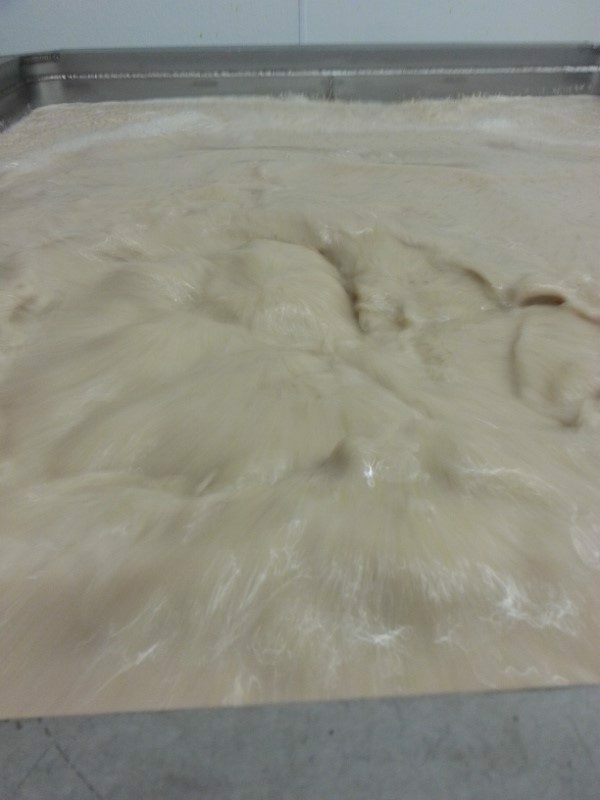 During this process, the starch is being broken out of the grain and an enzyme converts the starch to sugar. 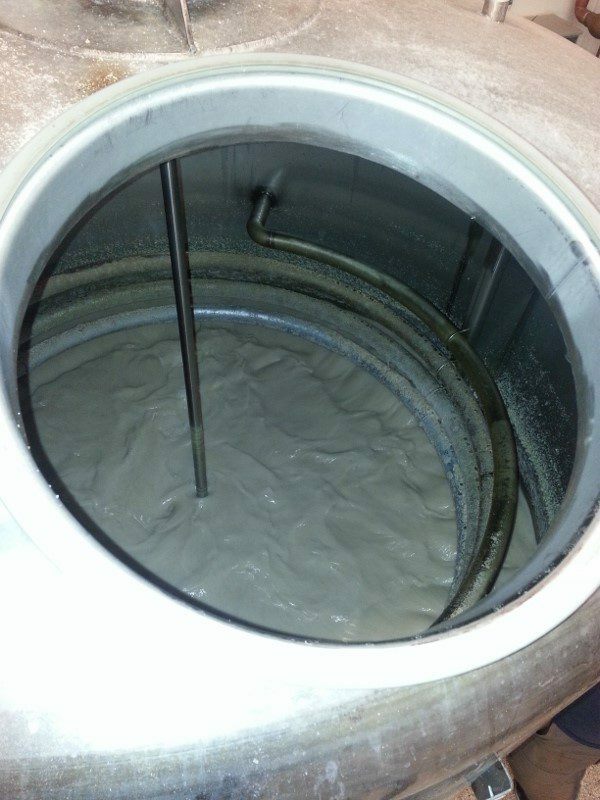 After the mash cooks and cools, a small amount of the mash is taken out of the tank and the yeast is mixed into it. 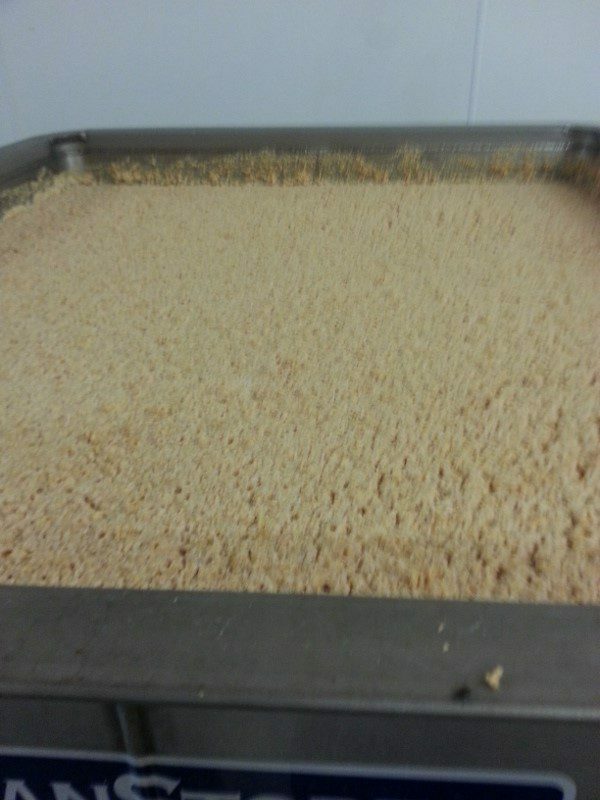 The remainder of the mash is transferred to an open top fermenter. 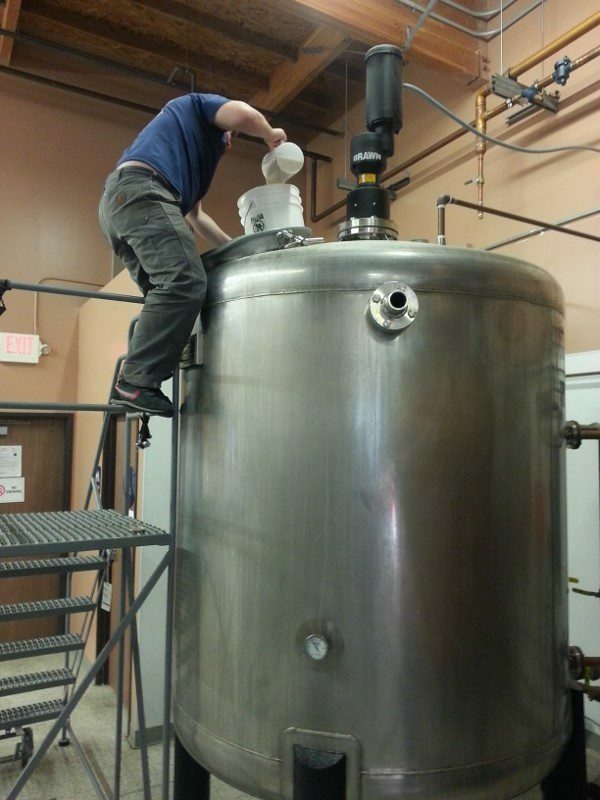 Once the yeast has risen, it is added to the open top fermenter. 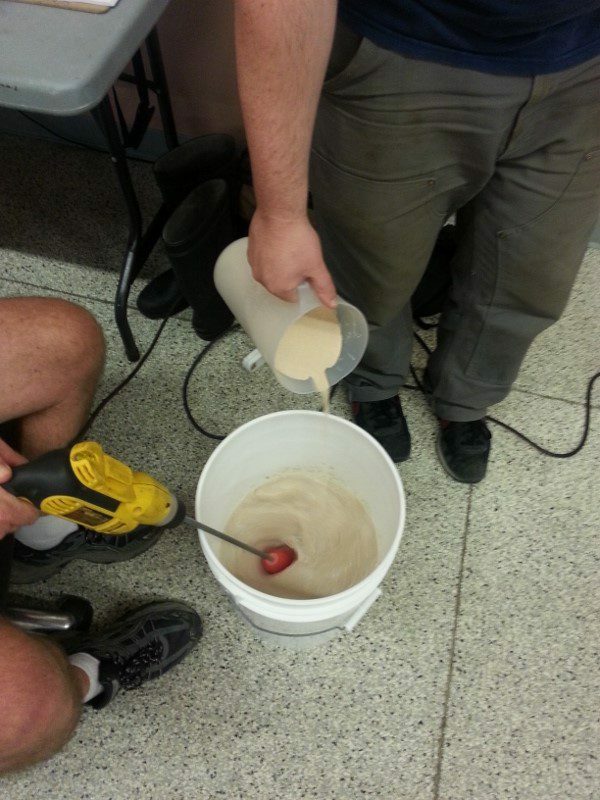 The mash is then left to ferment for 5 days and a “distillers beer” is created. The distillers beer is then pumped into the copper pot. 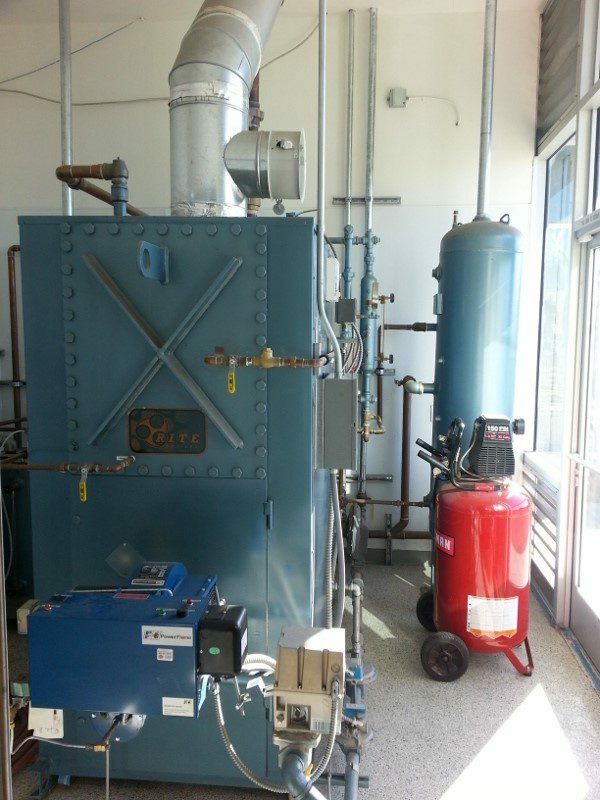 The water is separated by a wall and steam heats the distillate. Because alcohol boils at a lower temperature than water, the two separate and the alcohol is boiled off. The vapors rise and condense at the top and then fall down and redistill. 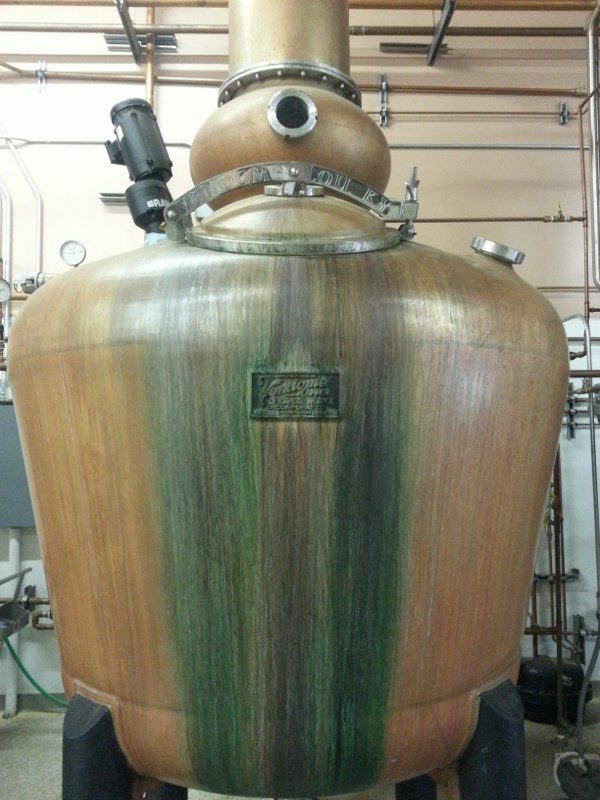 After a few rounds of distillation, the alcohol ends up in a receiving tank below the columns. This is when cuts are made. The first part of the alcohol that comes out is called the “heads” and consists of deadly poisons like methanol and acetone. This is thrown away. The second part is the “heart” which is the good stuff. The third part is the “tails” which is a fusel alcohol. It is harder for the liver to process and not very tasty, resulting in worse hangovers. 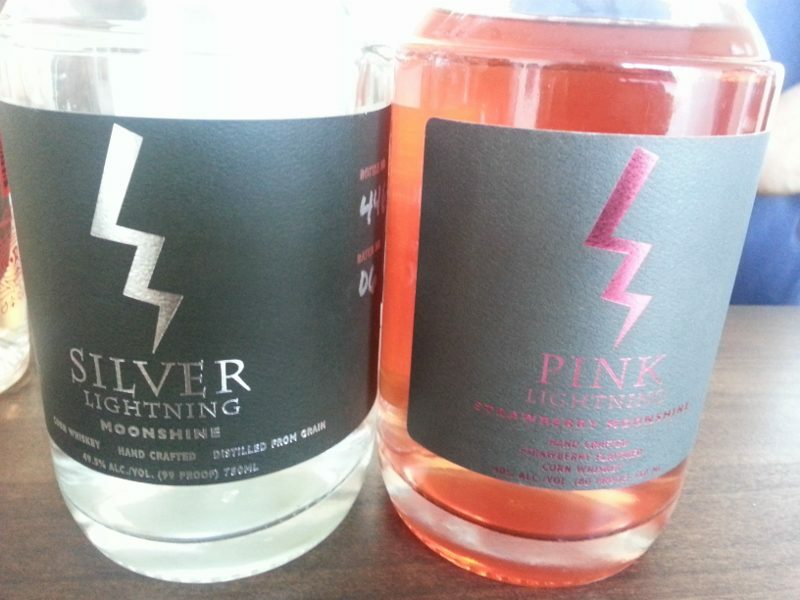 How can the distiller tell the difference between heads, hearts and tails? They can tell by the smell. The hearts are then pumped into the blending tanks which are weighed by mass (not volume) in order to determine how much water to add to get the final proof. 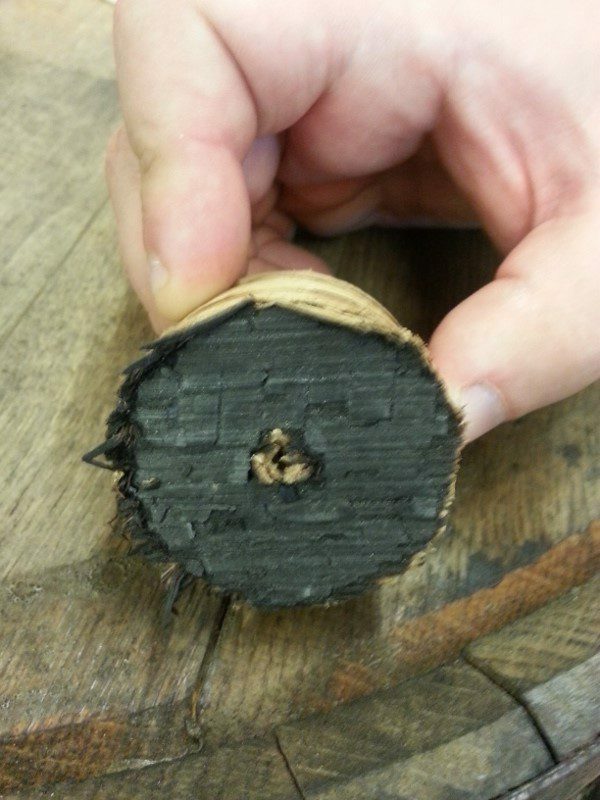 The final steps include filtration, proofing and blending and then the distillate goes into barrel or bottle. 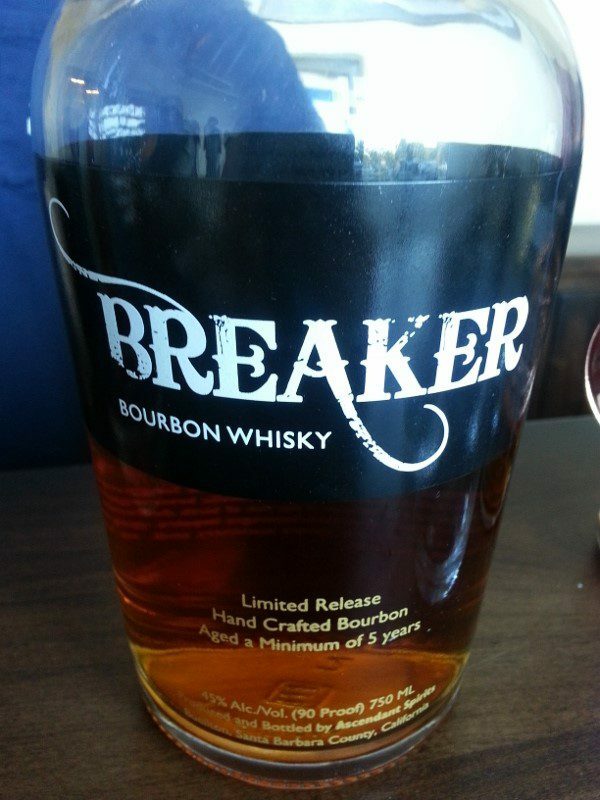 For Ascendant Spirits’ Breaker Bourbon, the whiskey goes into new charred oak barrels for a minimum of 5 years. Due to the transverse mountain range of Santa Barbara wine country, the warm days and cool nights help the barrels breathe, resulting in constant aspiration. 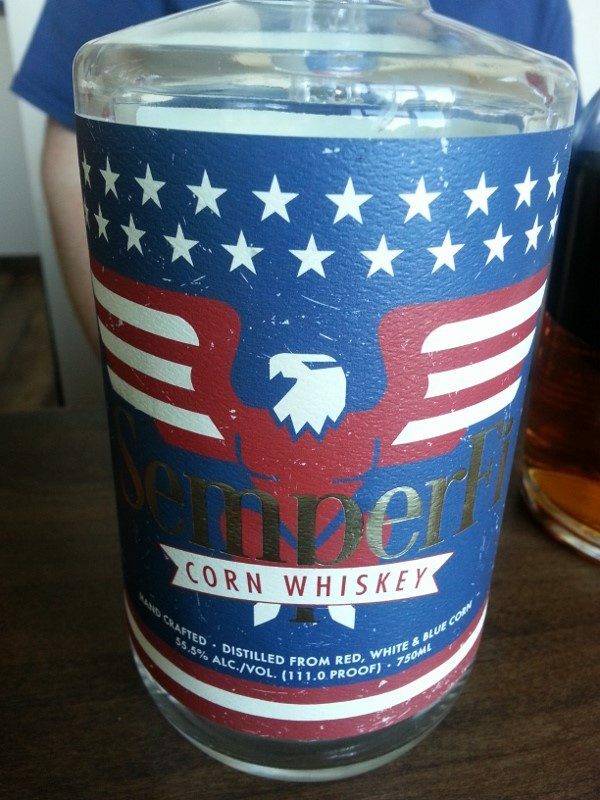 Sempre Fi Corn Whiskey – made with red, white and blue corn and 111 proof, it is “always faithful” to the earliest whiskey made in the US circa 1620. This entry was posted in Cocktails and tagged American Star Caviar Lime Vodka, American Star Ghost Chili Vodka, American Star Strawberry Vodka, American Star Vodka, Ascendant Spirits, Breaker Bourbon, Buellton, distillery, Pink Lightening, Santa Barbara, Sempre Fi Corn Whiskey, Silver Lightening, Stephen Gertman, vodka, whiskey by Allison Levine.